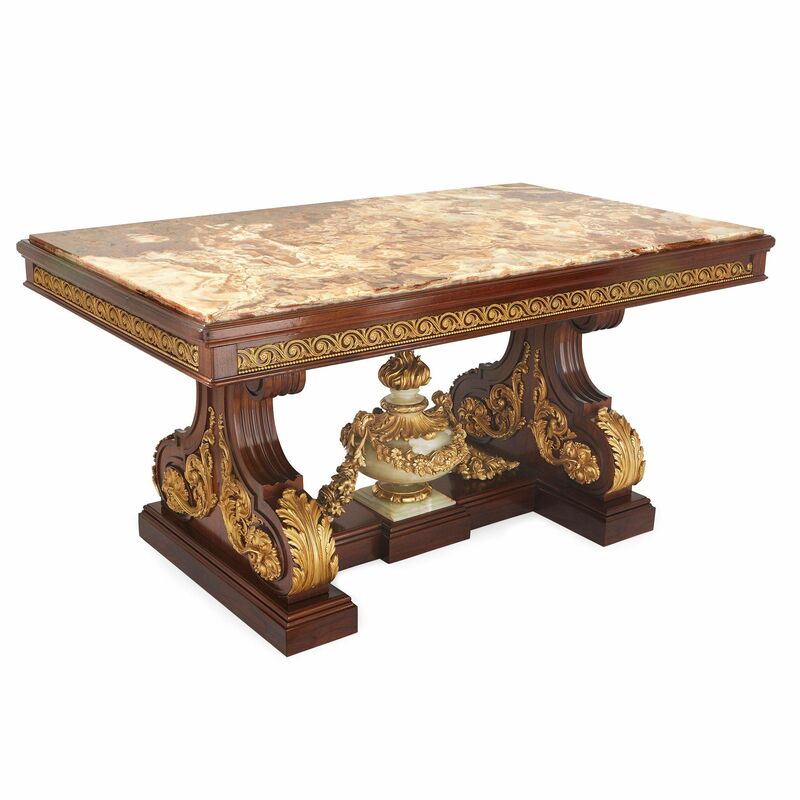 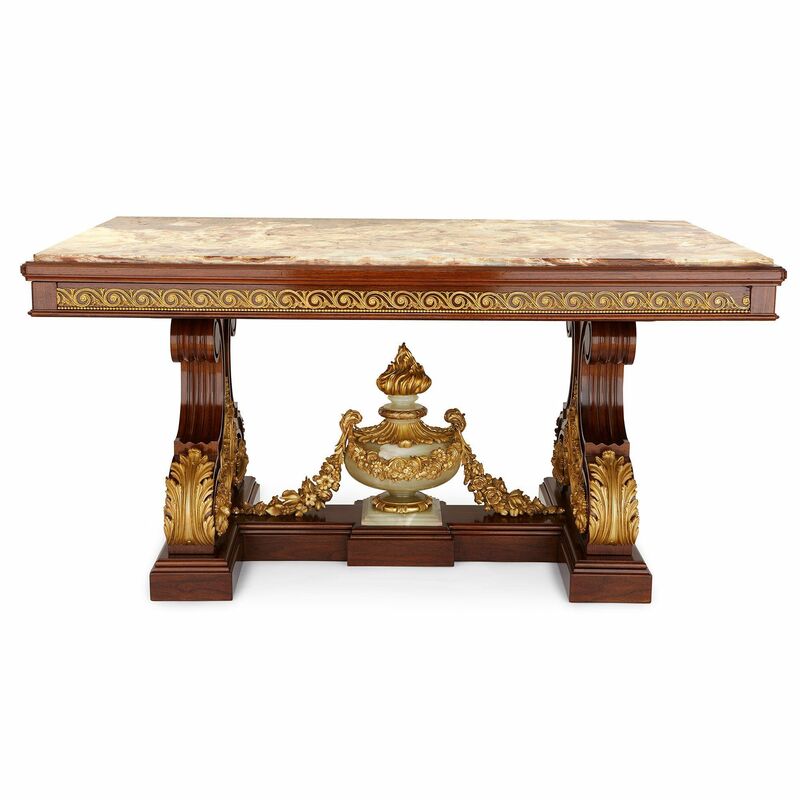 This fine rectangular Neoclassical style centre table is masterfully mounted in exquisite ormolu and features a rare and beautiful onyx inset table top. 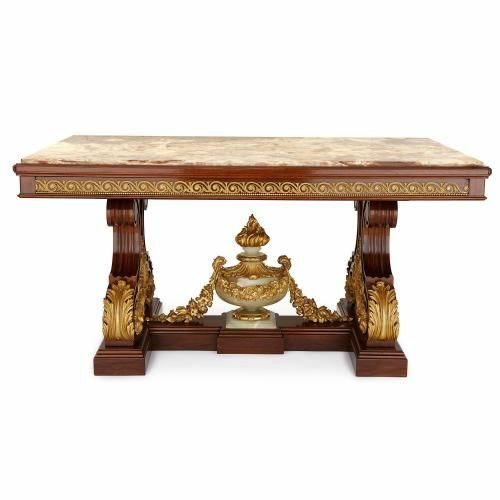 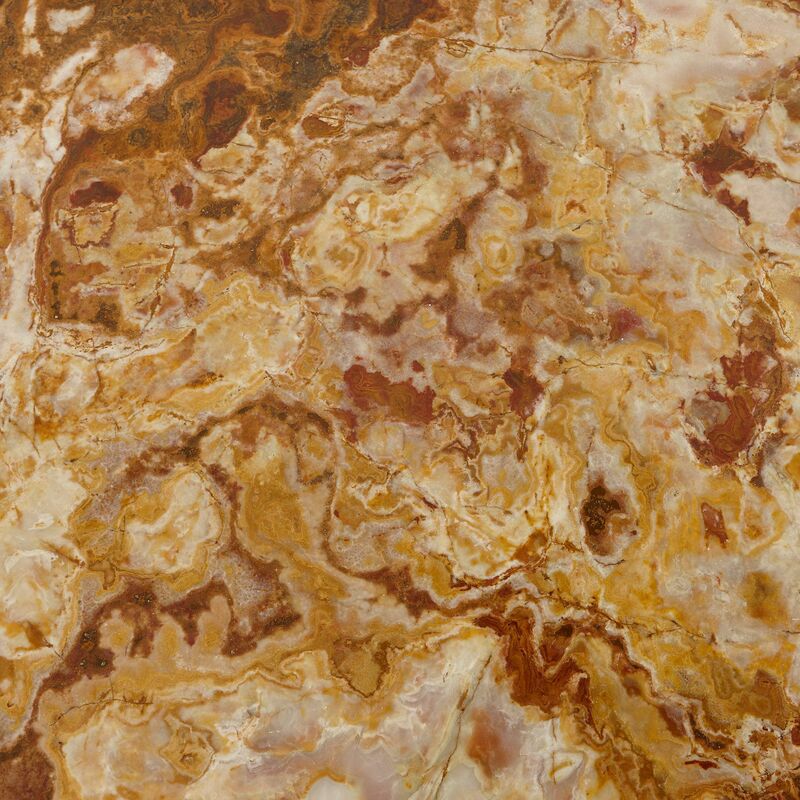 The table has a rectangular top which is inset with a slab of red onyx, showcasing the beautiful banding habit of this rare stone. 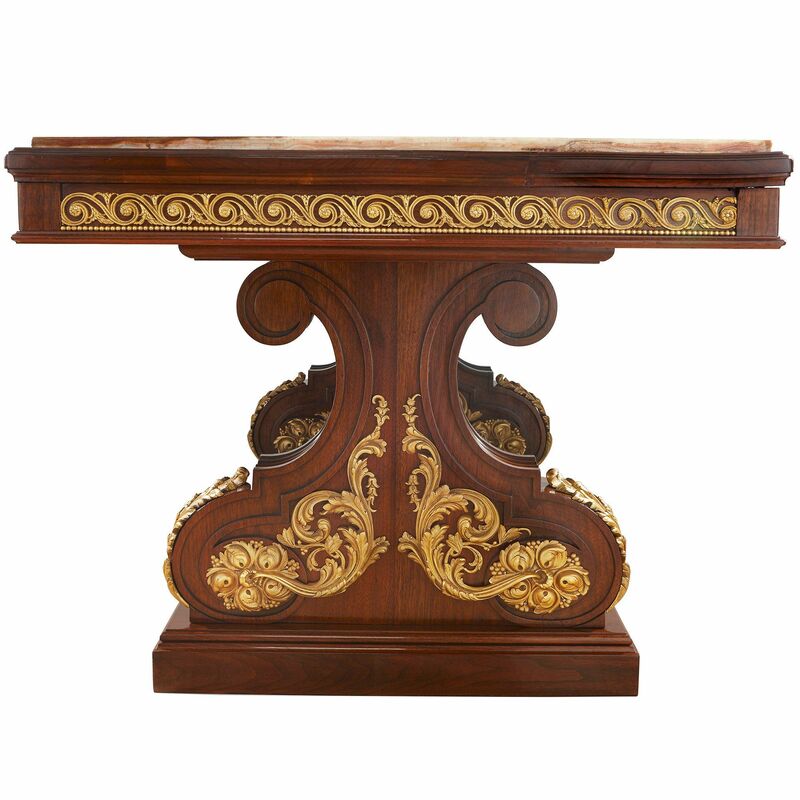 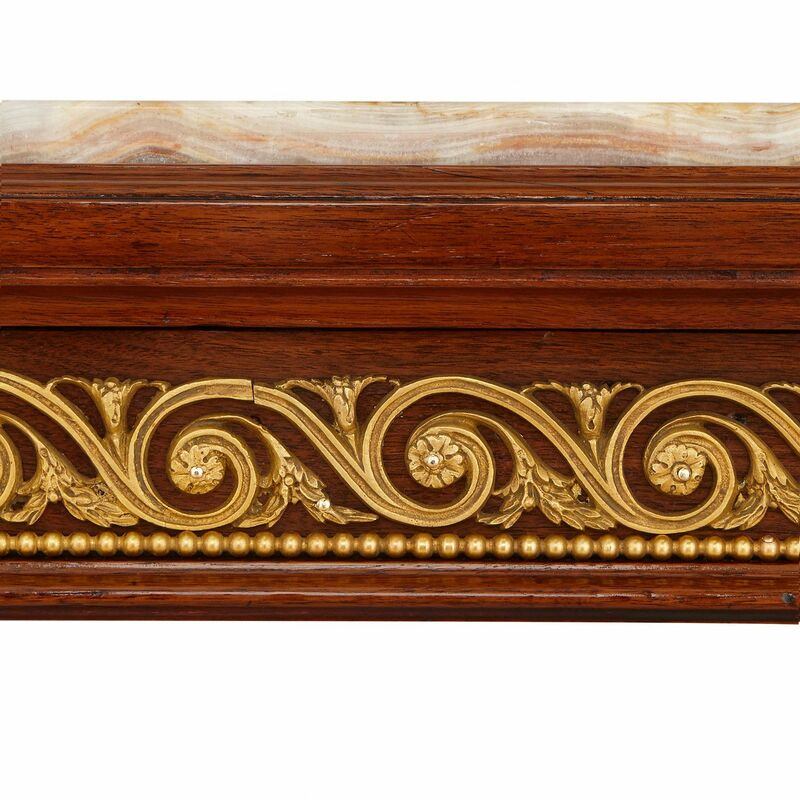 A frieze of beaded ormolu scrolls runs around the mahogany frame of the table top. 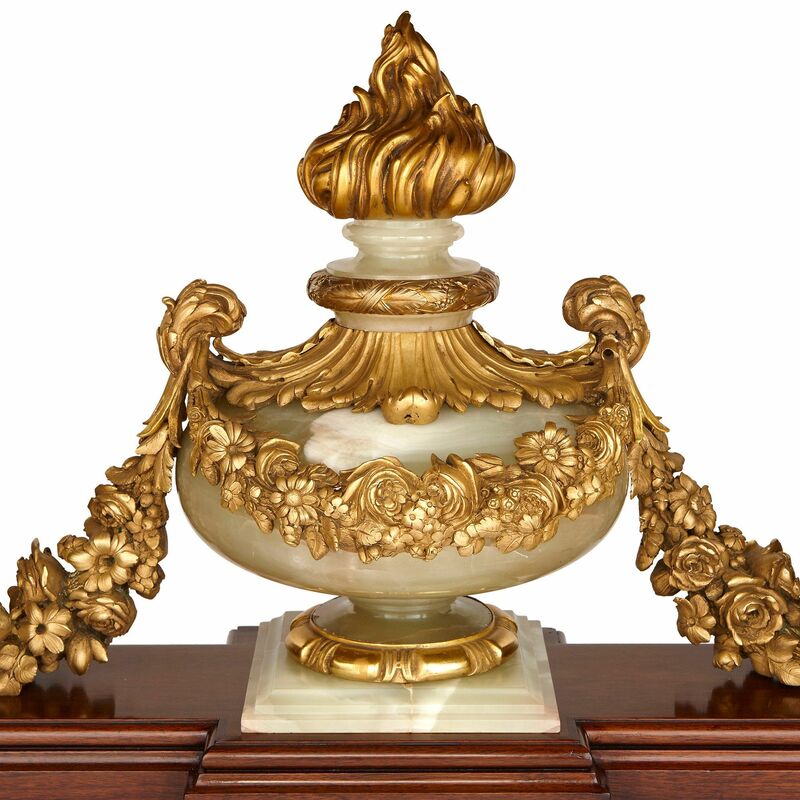 The legs for the table are formed as mahogany scrolls mounted with ormolu formed as acanthus leaf, leading to a stretcher base which supports a large central green onyx vase with an ormolu flame finial, draped with ormolu swags and acanthus leaf.